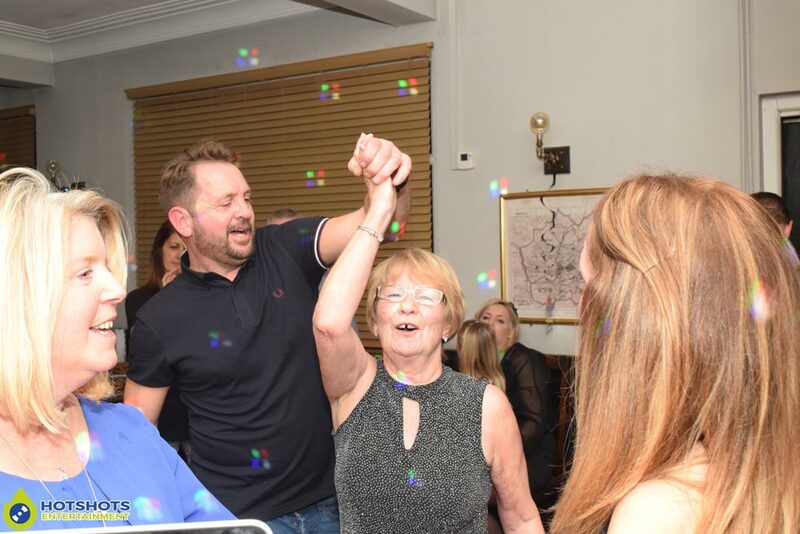 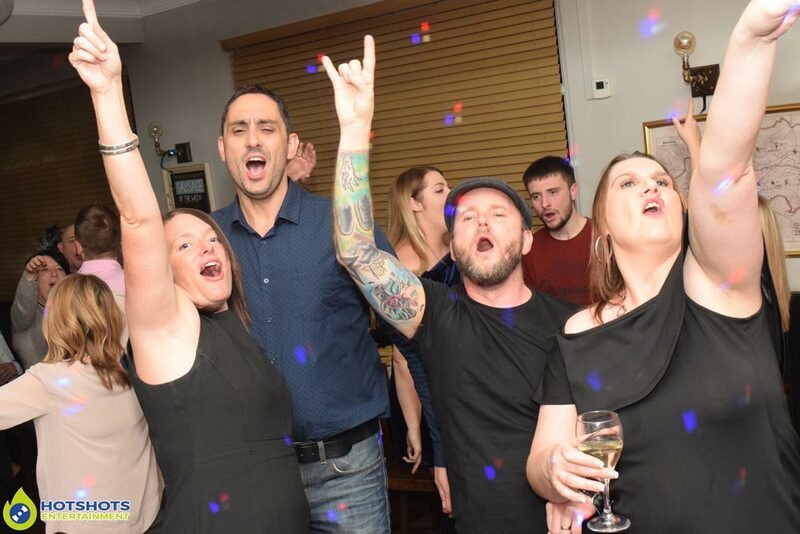 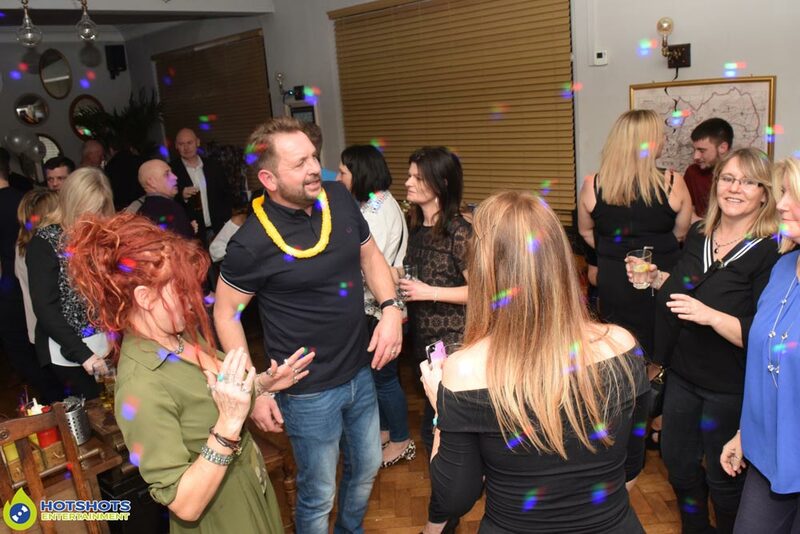 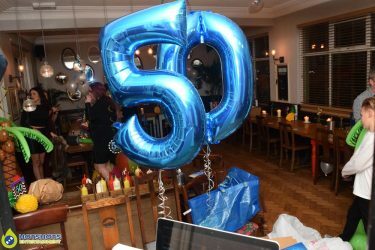 Hotshots Entertainment was booked to provide a surprise disco to celebrate his 50th birthday at the lovely Gloucester Old Spot. 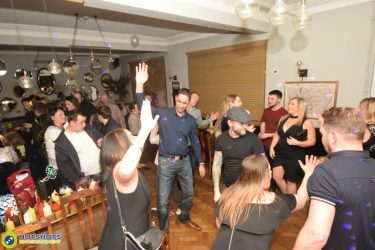 The public house is a really nice venue, it looks great & up to date & they have some great staff working there, when the hot buffet came out it filled the whole room with a lovely smell of freshly cooked food & everyone tucked right in. 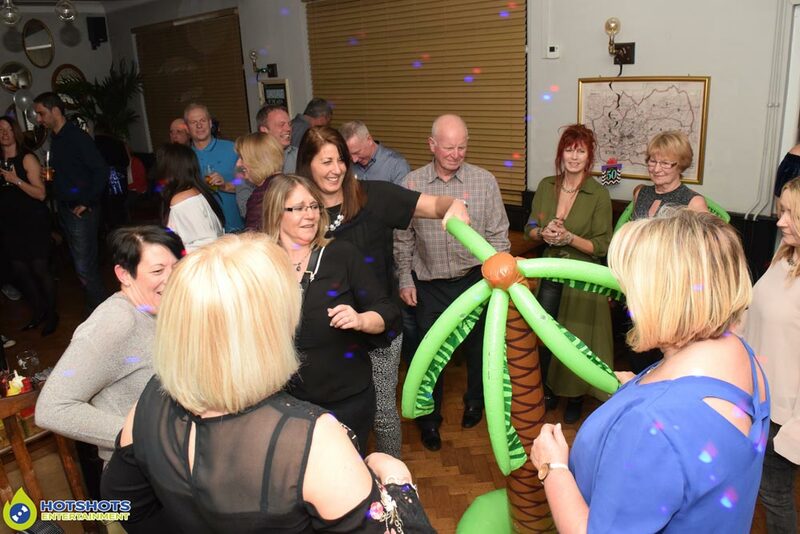 Steve’s lovely wife Sarah had booked everything in & she did an amazing job, they went for an 80’s Hawaiian theme that worked really well with some cool props all around the room, palm trees glasses & I even went out & got them some flower Lei’s. 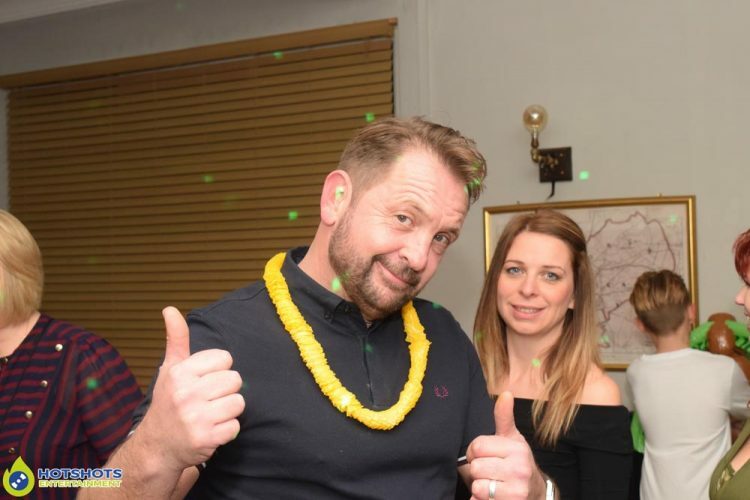 When Steve walked in he was shocked for sure he did not know anything which was great. Steve’s mum wanted me to play a special song for them to dance to which was Raindrops Keep Falling On My Head, everyone crowded around & took pictures & video’s. It looked like everyone was having a great time, I did take some pictures you can see a few below & you can find the rest HERE, please tag & share if you dare.